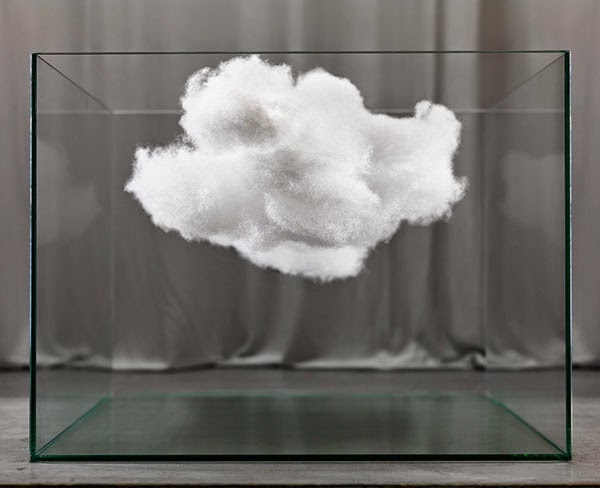 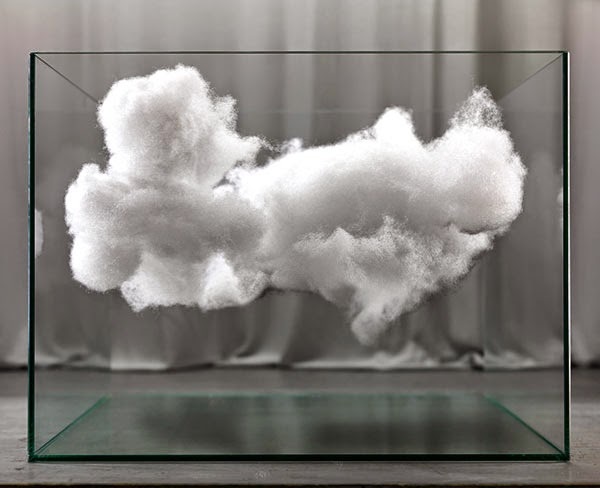 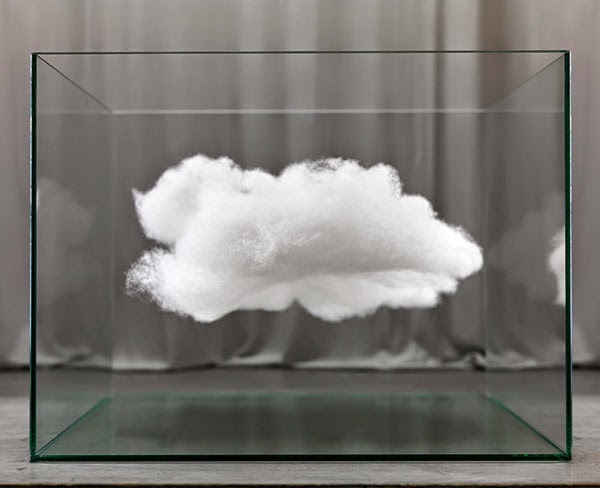 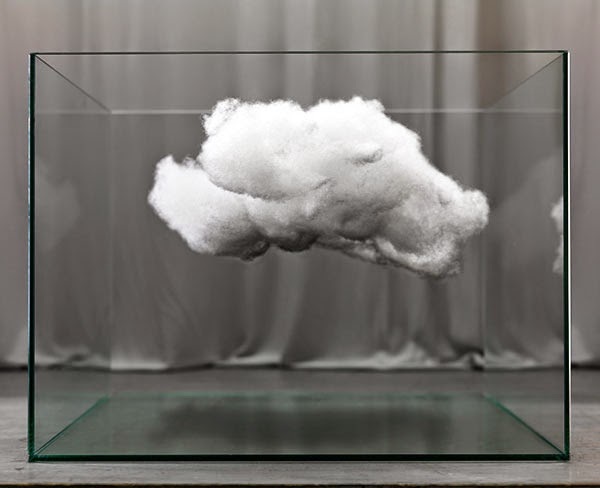 Fascinating photos of cloud structures encased in glass. 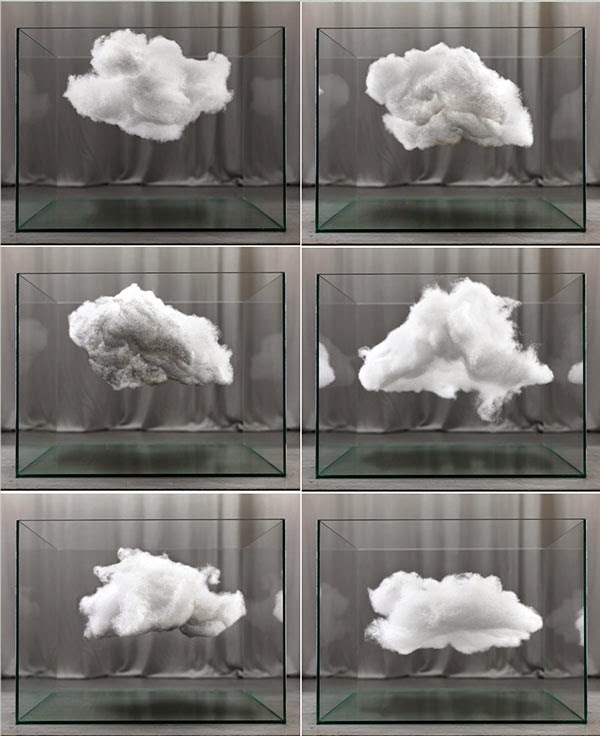 These are probably made from cotton and suspended inside the vitrine. 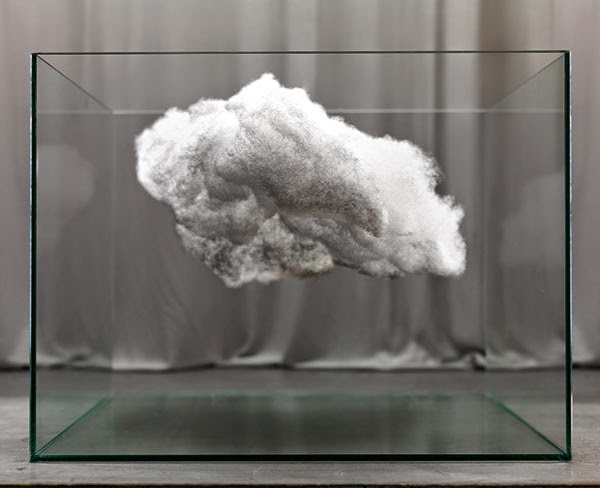 The addition of LED lights to simulate thunder and lightning with some background sound effects could make them even more dynamic. 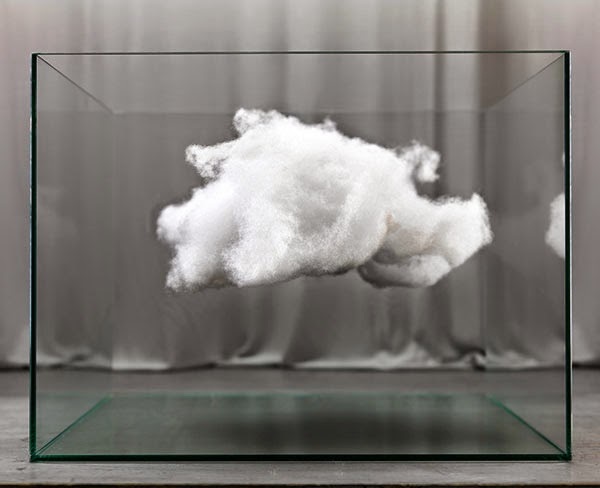 You can see more of Raffaello's work here.